This book makes an attempt to focus on different genres—poetry, drama, fiction, autobiography, children's literature and Activist Writing—from Mulk Raj Anand to Arundhati Roy. 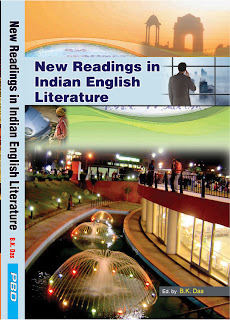 Care has been taken to choose scholarly papers by eminent critics as well as young bright scholars to show the progress of research in Indian English Literature. The Editor, Professor Bijay Kumar Das, an eminent scholar and critic, has written an "Introduction" and interviewed two eminent writers apart from his own articles on Indian English poetry. Written in a lucid style, the book with its range, depth and clarity will serve as a reference book of Indian English Literature. Jasbir Jain Resident Writer, Sahitya Akademi, New Delhi. Ramesh K.Srivastava Former Professor of English, G.N.D. University,Amritsar. G.Rai Former Professor of English, DDU Gorakhpur University, Gorakhpur. Anupama Chowdhury Asst. Professor of English M.U.C. Women’s College, Burdwan. 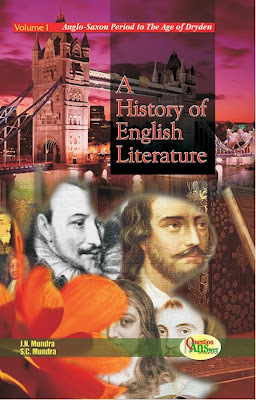 Santwana Haldar Former Reader in English, F.M. College, Balasore, Orissa. Shyamala A. Narayan Professor of English, Jamia Milia Islamia, New Delhi. Sushila Singh Professor of English, Banaras Hindu University, Varanasi. Tapati Talukdar Guest-Faculty, R.B.U. Kolkata. Viney Kirpal Former Professor of English. I.I.T., Bombay. Prabhat K. Singh Professor of English, Mahatma Gandhi Kashividyapith, Varanasi. Prema Nanda Kumar Indian English Novelist and Critic. Lives in Sriramgam, Tamil Nadu. Jnan Ranjan Padhi Associate Professor of English, Jawaharlal Nehru College, Pasighat, A.P. From where can i get this book. .